In our home between December 24 and 25th each year we celebrate the Nativity. According to the Merriam-Webster dictionary the word nativity simply means “the process or circumstances of being born”. When we capitalize the word we are speaking specifically of the birth of Jesus. While the Bible is silent about the exact date of the birth of Jesus, it is not silent about the Nativity itself. 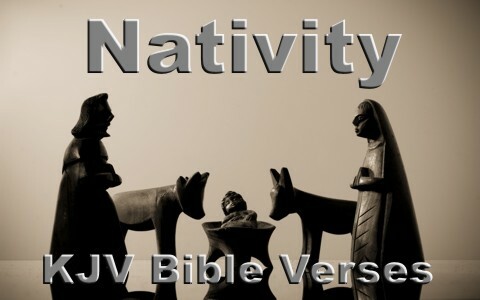 Take a look at my favorite KJV (King James Version) Bible verses about the Nativity. Matthew 1:21 “And she shall bring forth a son, and thou shalt call his name Jesus: for he shall save his people from their sins. I believe that Jesus’ birth – the Nativity – is something worth celebrating whether or not the Bible tells us exactly what the date of the Nativity is. Can you agree?